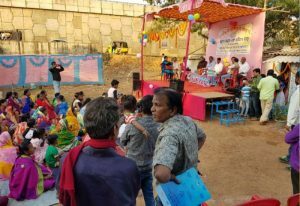 The residents of Kalaraput slum in Ward 31, Bhubaneshwar organized celebrations to mark their ODF status on 30 Jan, 2018. 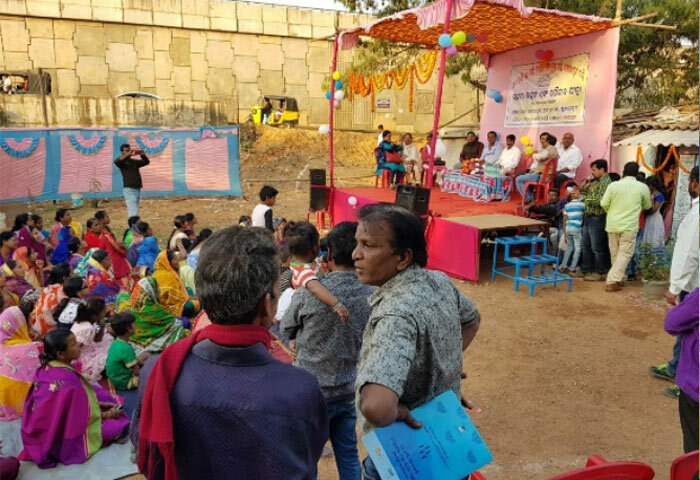 Feedback Foundation, along with the support of Bhubaneshwar Smart City Ltd (BSCL) and Bhubaneshwar Municipal Corporation (BMC) is working to make 24 slums of BTDC area Open Defecation Free (ODF) and improve the living conditions of the people of these slums. Triggering exercise has already been conducted across the slums and out of these, 23 have been declared ODF. To mark the celebrations, the residents decorated their camps with beautiful rangolis and organized cultural activities. A Walk of Pride was also conducted in the slum. The guests included the Mayor, MLA, Corporator and representatives from BSCL and BMC.